Located to the east of the Old Town is the Port Gate (Lucka Vrata). Once the main entrance into the city, it was built in 1543 by the Venetian architect Michele Sanmicheli. Above the keystone of the arch is the monumental lion of St Mark, the coat of arms for the Venetian Republic. 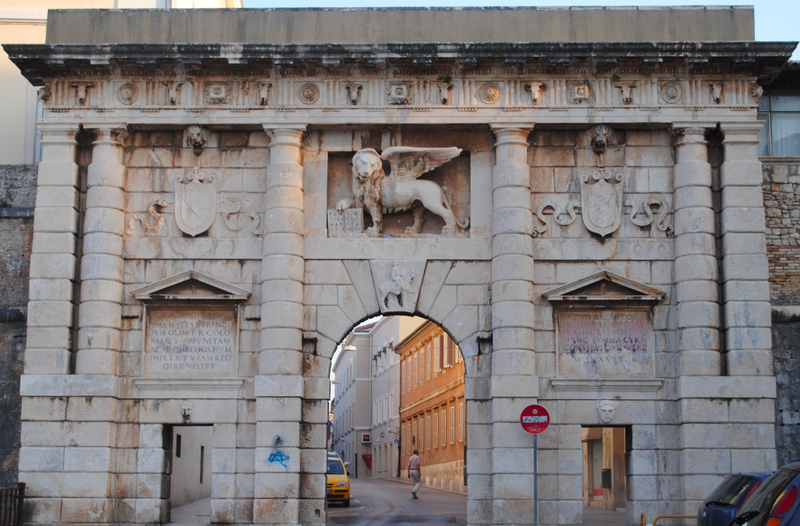 The keystone of the arch features a relief of St Grisogono on horseback, the coat of arms for the city of Zadar. The Renaissance architecture of the Port Gate is the result of the fortification system in Zadar he was responsible for during the 16th century. From the beginning of the Venetian-Turkish war (1537-1540), Michele Sanmicheli was involved in the basic layout of a new Zadar fort, accommodation and Land Gate.